The most anticipated Rave for 2015 is here! 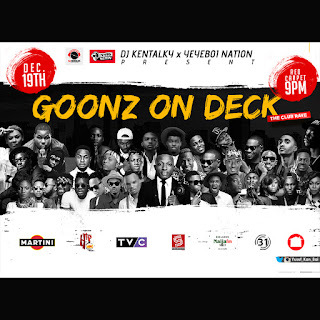 31Nation inc is pleased to announce that GOONZ ON DECK; the rave by DJ KENTALKY and YEYEBOI NATION is taking place on the 19th of December, 2015 at D’Place, 45 isaac john street GRA ikeja Lagos. The event boasts to be one of a kind, as celebrities turn up is on a high note. 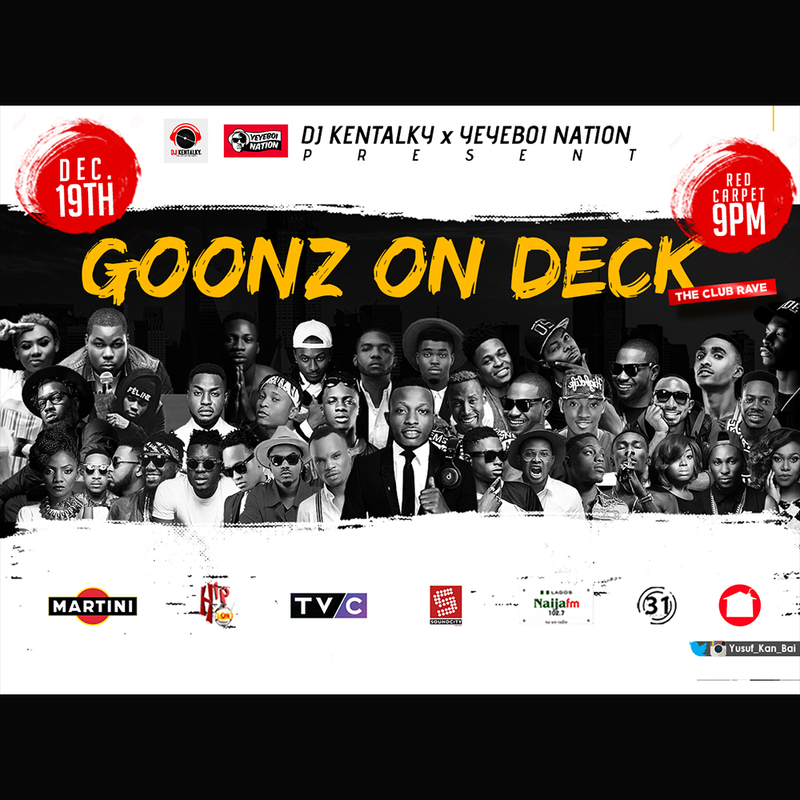 Some celebrities which include; Lil Kesh, 2kriss, T’jan, Viktoh, Dammykrane, Sossi, Niniola, Milli, Ola Dips, Slim T, Mr 2kay, Kayswitch, Rayce, Koker, Skibii, Slyde, Adekunle Gold, Endia, Simi, Yung L, Henry Knight, Chinko Ekun, Pepenazi, Minjin, L.A.X, Saeon, Phenom, Qriss, Ajanaku, Mz Kiss, Ray, Ketchup, King Mufasa, Shody, Kida Kudz and a host of others are confirmed for the event. Red carpet reception starts at 8pm prompt.